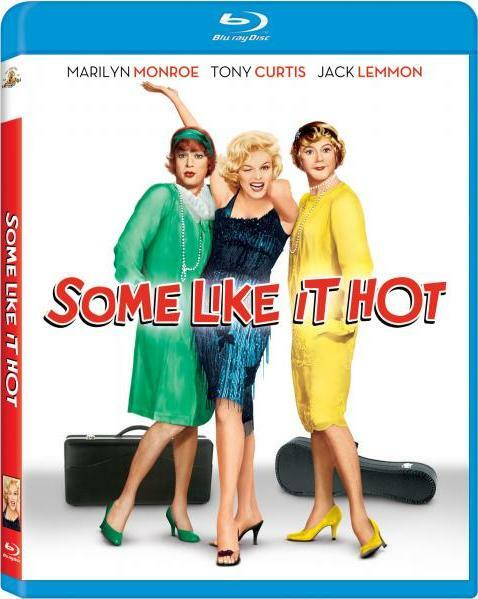 Some comedies play it safe and others like Some Like It Hot take a lot of risks and somehow succeed. 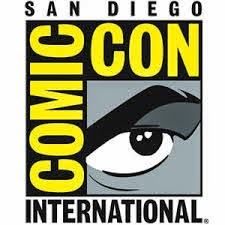 Those risks could include casting, some risky script or actor choices, or the movie could straddle two genres and hope that the tonal shift as a whole comes together and doesn’t lose the audience. The recent Criterion Blu-ray release of Something Wild is a perfect example of that as it lost a lot of its audience due to the abrupt third act that veered the movie from a comedy to a no holds barred thriller. Some Like It Hot doesn’t fall into that trap but I’m sure many audiences wondered if they had walked into the right movie auditorium when they saw the beginning of the movie that plays just like a regular Warner Brothers gangster picture and even has many familiar faces involved in those movies such as George Raft and Pat O’Brien. As the movie opens, Prohibition is still in effect and Joe (Tony Curtis) and Jerry (Jack Lemmon) are musicians in an illegal speakeasy that is cleverly hidden behind a secret door in a funeral home. This illegal hangout is run by a ruthless gangster named “Spats” Columbo (George Raft) who is very ambitious and has big plans to move up the crime syndicate hierarchy. When the local constable (Pat O’Brien) and his police force raid the joint after receiving a tip from a snitch named “Toothpick Charlie” (George E. Stone) , Joe and Jerry quickly escape through the fire escape to avoid arrest. When they later accidentally see Spats and his men corner Toothpick Charlie and his men and kill them, they are forced on the run when their hiding place is exposed and Spats sees the two musicians escape. Knowing that they are being hunted by the mob, Jerry and Joe dress up as women to join an all women’s traveling band on its way to Florida. Agreeing to go as Josephine and Geraldine (until Jerry changes his mind at the last minute to go by Daphne), they manage to fool the band and their covers and their resolve as quickly tested as soon as they meet the band’s singer Sugar (Marilyn Monroe) who has a thing for saxophonists and alcohol. When Joe learns that Sugar is hoping to meet a millionaire he quickly invents another persona (that sounds a lot like Cary Grant) so he can try to win her over as a man. The juggling of all his personas add a lot of humor to the movie since he has to switch back and forth between Josephine, the Shell Oil heir, and his own when he is alone with Jerry. Jerry doesn’t make it easy for Joe either as he’s jealous about Sugar so he does his best to get Joe caught when he himself isn’t being chased by an old rich man (Joe E. Brown) who has fallen for “Daphne.” As if all that wasn’t enough for Jerry and Joe to worry about, Spats and his men show up at the same hotel they are staying at for a convention for “Lovers of Italian Opera,” which is also being attended by the rest of the crime syndicate who aren’t too happy that Spats killed Toothpick Charlie without permission from them. Mix all of these elements together and you get a very funny farce with so much going on that no one knows what’s going to happen next. You never know how these older catalog titles will look and all you can do is hope that the studio takes the time and effort to make them look as good as possible for high definition. I’m happy to say that this movie looks incredibly good for a movie that is celebrating its 50th anniversary. The 1080p (1.66:1) transfer looks very sharp and the black and white cinematography looks really good. There’s a good amount of detail provided and you can see the extra makeup that’s been applied to the men. Black levels are nice and inky and the contrast is excellent. With only a few niggling signs of its age, this is a very nice transfer and I was pretty happy with it. Some Like It Hot’s new DTS-HS Master Audio 5.1 track is also very good and in my opinion a step up from the original mono mix although I’m sure some purists would disagree. If you are concerned about this new mix don’t worry so much about it since this is still a front heavy mix but some effects and music have been expanded across the rest of the channels for more immersiveness. Dialogue is clear and the music sounds great, especially Monroe’s three numbers she does during the movie. While not as in your face as recent releases, this movie sounds very good for a movie made in 1959. There’s a lot of good extras on here but unfortunately none of them are in high definition except for the theatrical trailer . “Nostalgic Look Back” Documentary - A talk at the Formosa Cafe between Leonard Maltin and Tony Curtis where they discuss the making of the film. Tony Curtis is a natural raconteur but he changes the facts of a couple of stories that are all captured on this disc which makes you wonder which parts are correct but he is so gracious it doesn’t really matter. Billy Wilder is a recognized master of comedy (and drama) and here he not only directed the movie, but also co-wrote it with his frequent collaborator I. A. L. Diamond. The movie has a great script, funny performances, and some absolutely great supporting actors which adds up to a classic movie. While I wouldn’t rate this as the funniest comedy of all time, it is a lot of fun and I would highly recommend it to anyone that enjoys a good laugh.